Chandigarh is one step closer to become Smart City. Parking lots in Chandigarh are turning smarter with a newly launched dedicated app, iParkSmart. The app, iParkSmart, enables residents to check the real time availability of the parking in real time. All 26 parking lots in the city will come under the purview of the app. ♦ The app has been developed by Mumbai-based company Arya Toll Infra Limited. 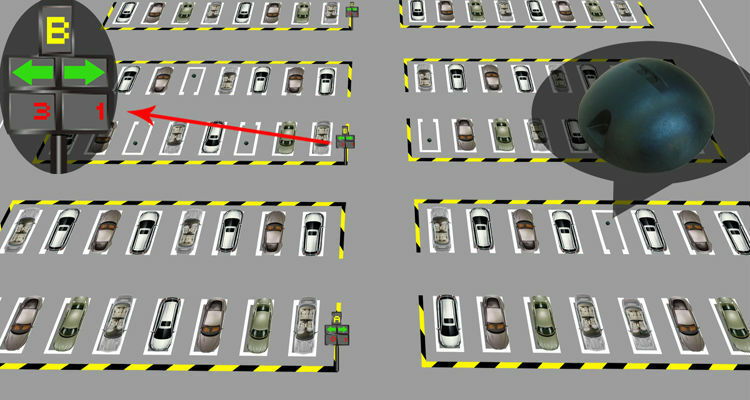 ♦ The app lets the residents check whether a parking space is available in the parking lot. ♦ The user can book the parking space using the app to make the payment in advance. ♦ The app itself will direct the user to the parking space. ♦ The app also offers a facility to provide feedback. ♦ Parking lots will be equipped with automatic boom barriers. ♦ 430 CCTV cameras will be installed to keep a vigil on the activities at all 26 parking lots. The parking rates are doubled across all parking lots in Chandigarh. The Smart Parking initiative of MC Chandigarh does take into consideration that violation of rules by parking contractors is checked. There is a provision of fine and after five violations, the contract will stand cancelled. The new smart parking system is a part of a joint initiative of the Chandigarh Municipal Corporation and Mumbai-based Arya Toll Infra Limited that has been allotted the Rs 14.78-crore parking contract. Download the iParkSmart app on Google Playstore (Android). The app on App Store iOS will be available soon. Previous articleAnushka & Virat Getting Married This December. Wait, Is This Even True? what about pick and drop charges ?